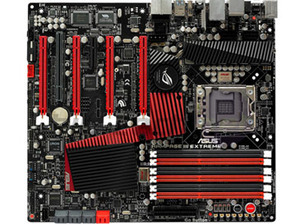 Asus' latest Republic of Gamers motherboard for Intel LGA1366 is the Rampage III Extreme. 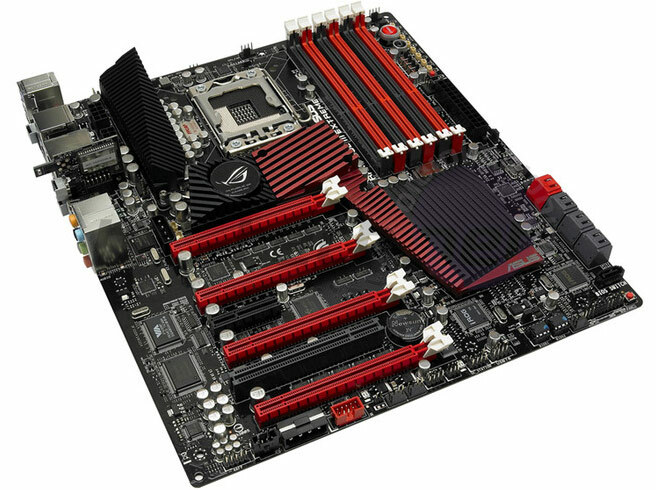 Asus has upgraded its previous LGA1366 beast, the Rampage II Extreme, with a tidier design and very angular red and black aesthetics. As you can see from the photos below, the board is fatter than your usual ATX, although not taller - so it should fit in most tower cases. Asus has dropped in the same motherboard voltage check points and overvolt switches from the Rampage II, although the twiddly knobs have been dropped in favour of the RoG Connect over USB and Bluetooth: something the Maximus III first showed off. Three (although we can only see two) very high capacity 'ML' caps are dropped in for the CPU, QPI and memory for extra high performance stability, although we suspect only the extreme overclockers will actually benefit from these. The CPU socket itself gets 8-phase power, the QPI/DRAM (on CPU), X58 northbridge and DDR3 memory slots all have 3 phase each too. Two 8-pin EPS 12V CPU connectors supply the CPU - a demand from pro-overclockers we've heard - although only one actually needs to be used. 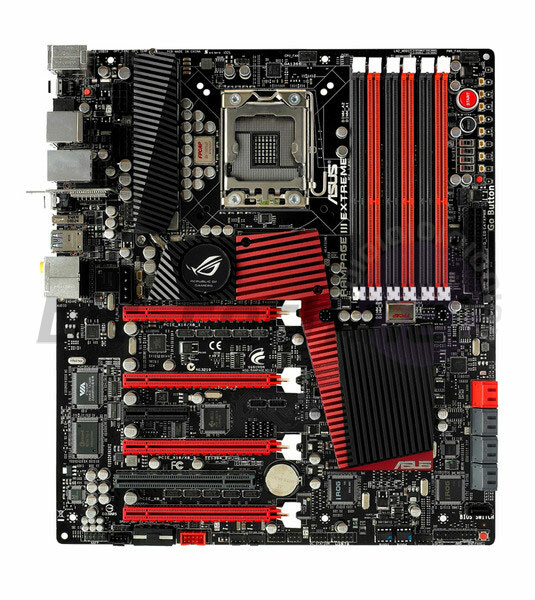 Naturally the board features a pair of SATA 6Gbps and USB 3 ports, although the core chipset remains the Intel X58 and ICH10R underneath. An update for X58 is not expected until Q4 this year. Six DDR3 DIMM slots supporting a maximum of 24GB of memory. 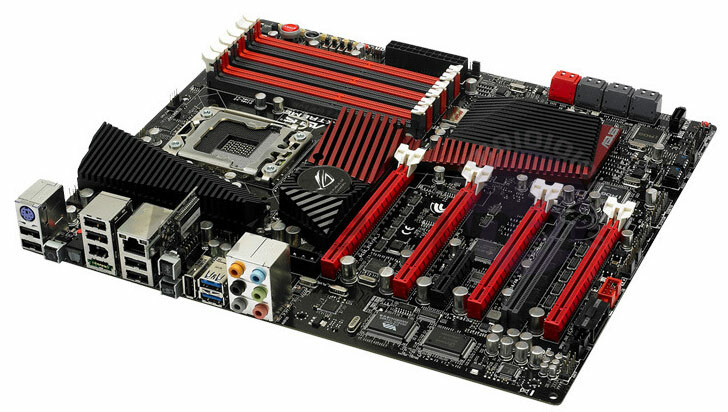 Asus claims "up to 2,133MHz OC"
Are you interested in a the latest Asus Republic of Gamers motherboard? Could it be better or is it more than enough? Let us know, in the forums. Want to work for Asus UK? if you fancy working full time with PC hardware and technology then we have good news - Asus UK is hiring a component technical support person. It's a great place to start in the industry.